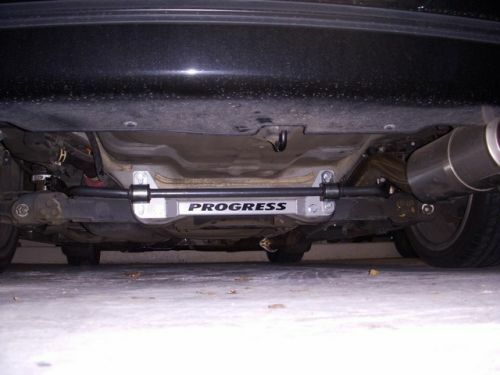 Progress Suspension anti-roll bars dramatically improve handling. How? They minimize the traction-robbing body "lean" that rolls part of the outside tires off the pavement. 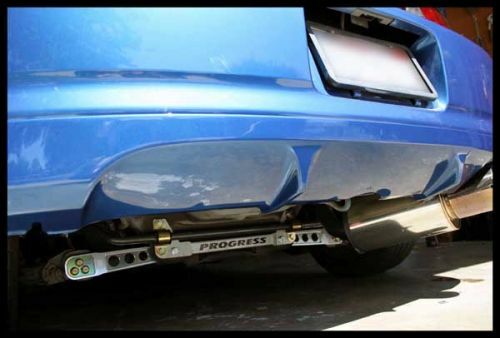 Our Sport-tuned Anti-roll bars replace skinny OEM bars and rubber bushings with larger diameter (stiffer) alloy steel bars and polyurethane bushings. More roll stiffness means less body "lean", and the tires stay flatter on the pavement (larger contact patches). The result is more grip and added driver control! Less body roll means more traction, faster cornering speeds, and increased driver confidence. Polyurethane bushings produce crisp response on turn-in. Progress Anti-roll bars are cold-formed in-house using our custom-built precision bending equipment. Both laser-cut and CNC bar ends are MIG welded in place using a precise fixture for an exact fit. Awesome addition for keeping the rear more stable ran one track day and could really tell the difference in the first lap great product. 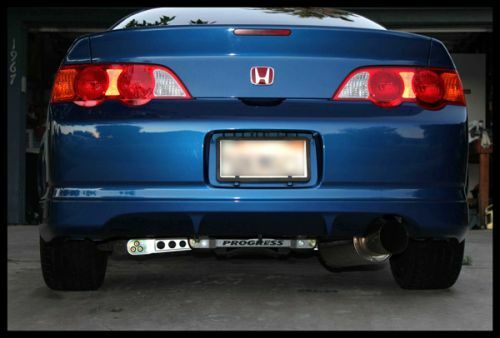 The swaybar and rear brace are excellent. Improved handling and it's like buying two sway bars because it's adjustable. The brace looks great and comes with proper spacers to go in the gaps it creates behind it. During shipping the bag that contained the endlinks hardware broke open and a couple pieces got lost. The endlinks it comes with are junk anyway, just grab some Hardrace ones and you will be very happy with this setup. Ive had this for about 2 months now and I love it. My whore of an Ex girlfriend even noticed the immediate difference! Seriously a must buy. I had purchased both front and rear sway bars with some ingals endlinks. Install was easy enough and I love the feel of the car! Only issue i had was the rear somehow got bent within a few days of the install. I understand Wisconsin roads aren't the best. At the same time it's not like I was aiming for any potholes. The washers on the bar were bent from the factory as well.